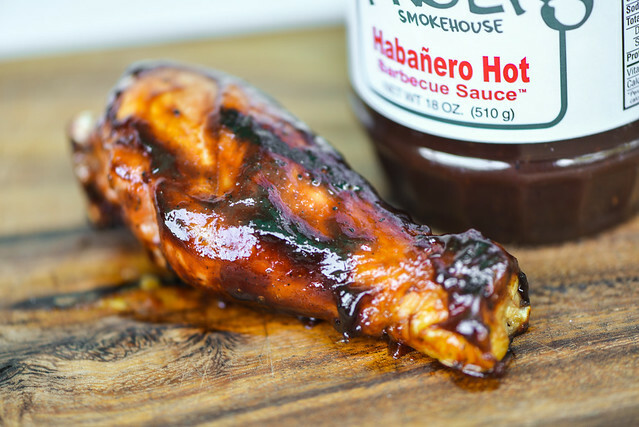 Sticky fingers not worth licking is a troubling proposition, but that's exactly what this sauce delivers with its overly smoky and acrid flavor that tastes unnatural and over processed. Sticky Fingers was started by three long-time friends Jeff Goldstein, Todd Eischeid, and Chad Walldorf, who set out to solve a problem of their being no barbecue in the Charleston, SC area that lived up to the standards Tennessee bred in them. This lead to their first restaurant in Mount Pleasant, South Carolina, which opened in 1992. The boys hit on a good thing, because the initial popularity of Sticky Fingers' has now led to an expansion that includes sixteen different locations across the south, all serving up their Memphis-influenced 'cue. 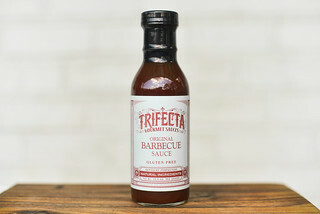 They also have five different sauces that enjoy wide supermarket distribution, as well as a barbecue rub and hot sauce. 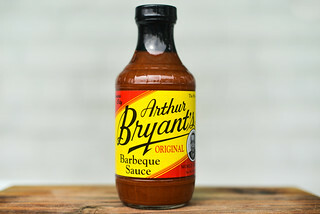 Looking for liquid smoke? You'll find it in abundance in Sticky Fingers Habañero Hot. The sharp aroma of liquid smoke is the first thing that hits and is so heavy that it blocks out almost everything else to start. A deeper smell clearly brings molasses into the fold, as well as a vinegar tang. Sitting just beyond the molasses is tomato, which imparts a little fruitiness. There's only a suggestion of heat in the aroma, which is probably masked from the smokiness and sweetness that dominates. 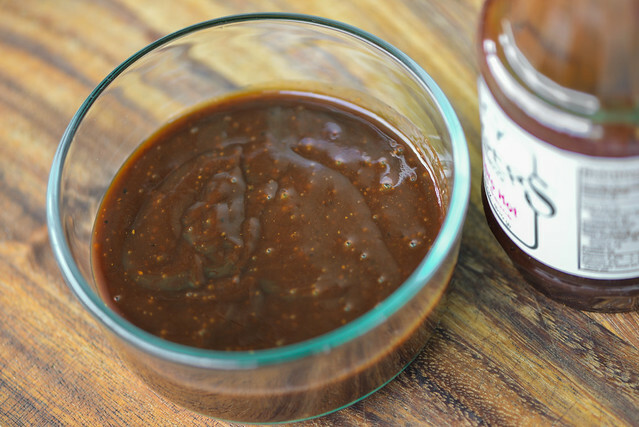 This glossy sauce's consistency can easily be described as syrupy. It has a thickness that's just north of medium and pours off a spoon in one big chunk at first, then continues in a thin, steady stream that slows to a few final drips and leaves a medium-thin coating left clinging. Although the sauce is dark brown and opaque, it's still possible to make out specs of white and black spices dispersed throughout. This first flavor of this sauce was so unnatural that it's hard to even describe. It wanted to be sweet, then tangy, then spicy, but it just came off tasting like a chemical lab. Liquid smoke was strong from start to finish and created an overpowering acrid flavor that drowned out a lot of other ingredients. After taking multiple spoonfuls (in the name of this review), I got a progression of flavors that started with a somewhat unsweet molasses, then vinegar that tingled the tongue, and finally a heat that was enough to leave a slight burn, but not enough to produce the fire I might expect from something labeled "habañero." The sauce coated the chicken well, albeit a little unevenly, and then baked down nicely over indirect heat. A little burn-off was suffered over direct heat, but not enough that the chicken warranted additional brushings in the end. Unfortunately the flavor didn't change much from out of the jar. Liquid smoke stayed strong and overshadowed most else. The sweetness was amped up, bringing out a more pleasant molasses flavor that found a better balance with the vinegar. The heat was still mellow though, and other spices and flavors were hard to pick out. This sauce did one thing well, live up to it's "Sticky Fingers" name. After working my way through that chicken leg, my fingers were coated heavily in syrupy sauce, but in no way did I do what usually comes next—licky fingers. This sauce had an imbalance and processed feeling that would make it fit better in a chemistry class than on food. 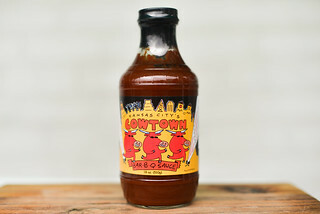 Liquid smoke played too heavy of a role, making the sauce acrid and unpleasant on the whole and forcing most else to succumb to its dominating presence. Those items that were brave enough to show face—molasses, vinegar, and peppers—ended up having an unnatural flavor that didn't sit well with me. 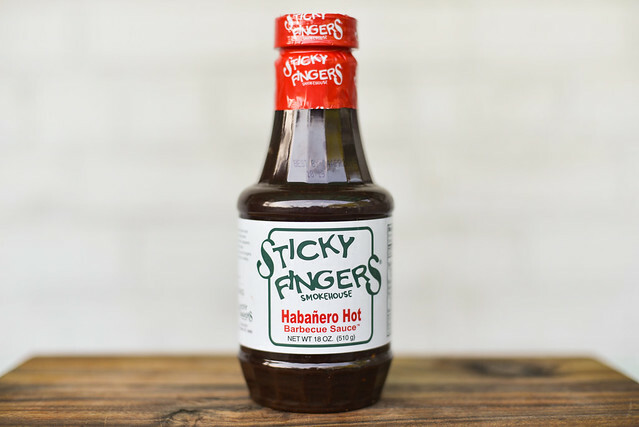 I haven't been to a Sticky Fingers restaurant, and based on the number of outposts they have, I assume I'm in an unpopular opinion here, but taking into consideration all I felt was wrong with this sauce, I would say pass it up unless your keen on taking a detrimental turn on your food.